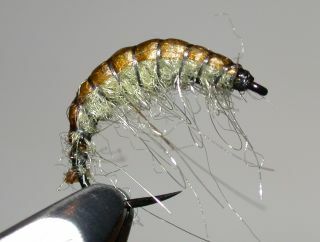 Slim, heavy Czech nymphs and shrimp imitations can be essential for getting down to fish feeding in deeper, fast water. 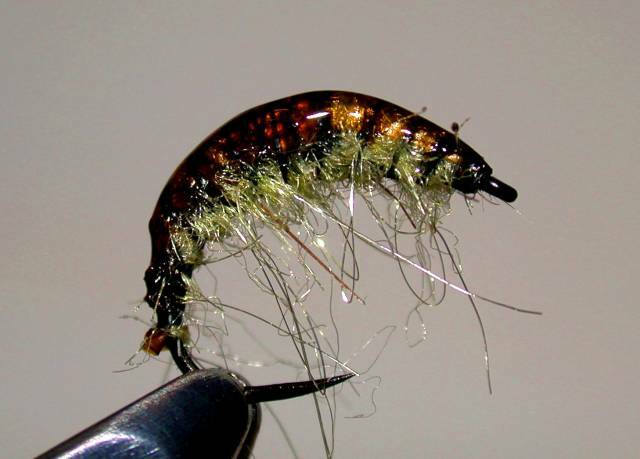 However where more gentle flows occur, I have found this shrimp imitation to really be successful. 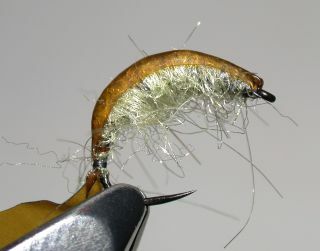 Don't be fooled though, there is plenty of lead in this fly - and it is this ballast that is used to give the fly its effective 'hump' appearance. 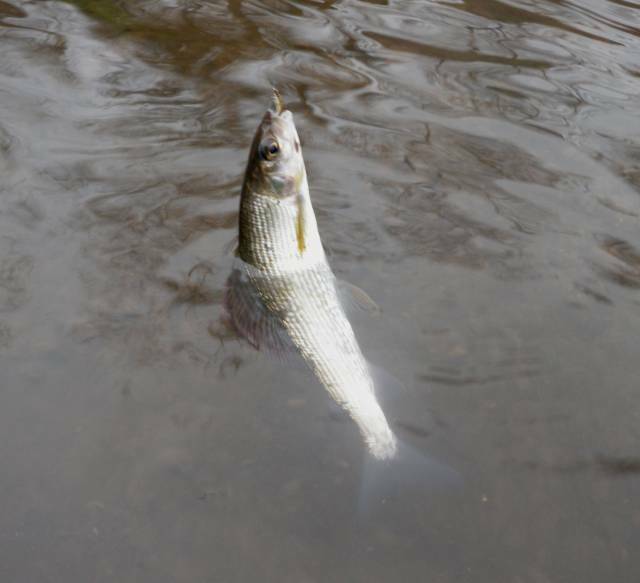 It is particularly effective when fished in chalkstreams for grayling. 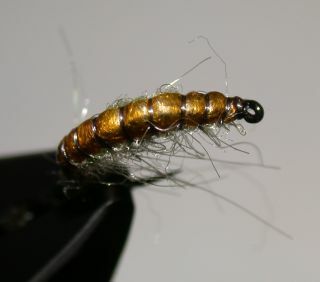 I like to use Roman Moser Powersilk (10/0) for several reasons. 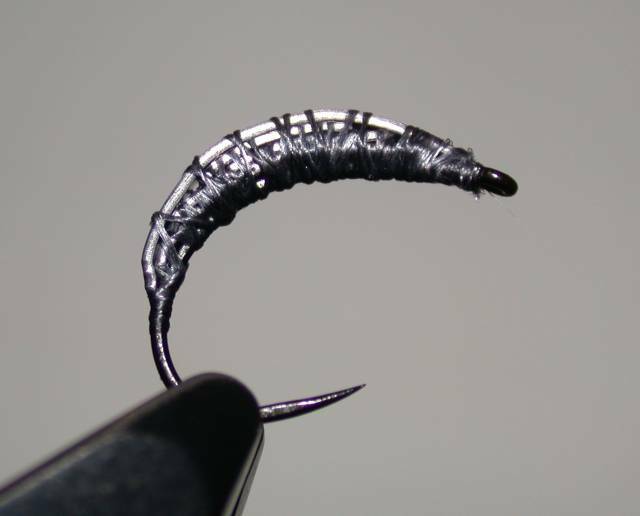 Firstly, I can form a very durable rib with the thread, avoiding the need for wire or monofilament. 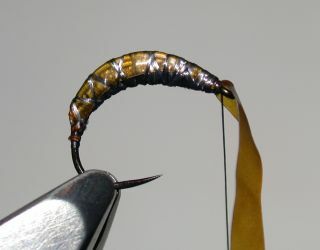 This is so simple to tie. 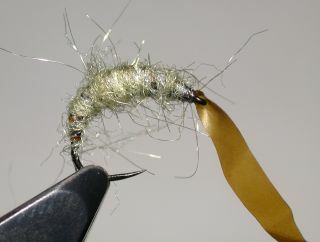 Secondly, with practice you can use the thread to cut the lead exactly where you want it. No need to cut fiddly little strips. 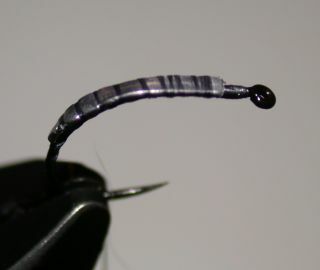 Just layer a longer piece along the hook shank and, with an increase in pressure, this tough thread will just slice through the lead strip. Dubbing: SLF / your choice! Build up the layers of lead; each being slightly shorter than the previous one.